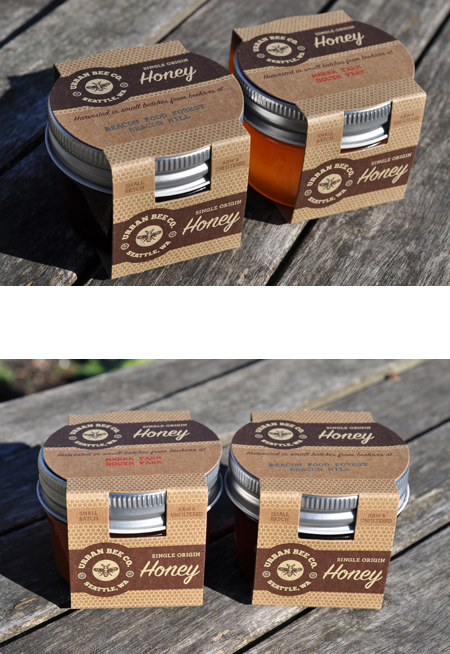 In late 2014 I teamed up with Urban Bee Company, producer local and sustainable honey bee goods in Seattle, to create new packaging for their 5 ounce honey jars. 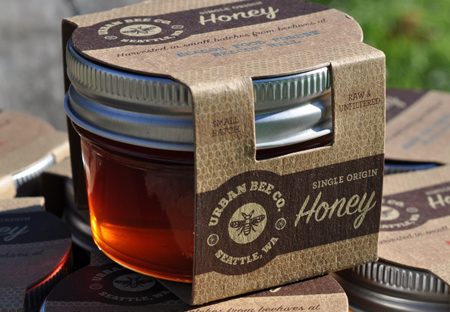 Single-origin and sustainably harvested in small batches, this raw and unfiltered honey is exactly as the bees made it in the backyards, small farms and urban wild spaces of Seattle. Because of this, the primary focus was to create one design that could accommodate an unlimited variety of honey. 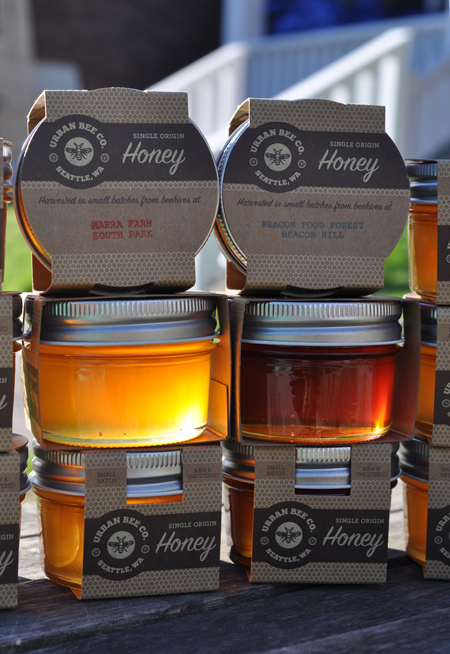 In addition the design needed to allow light to pass through the jars, allowing the color and clarity of honey to be visible. 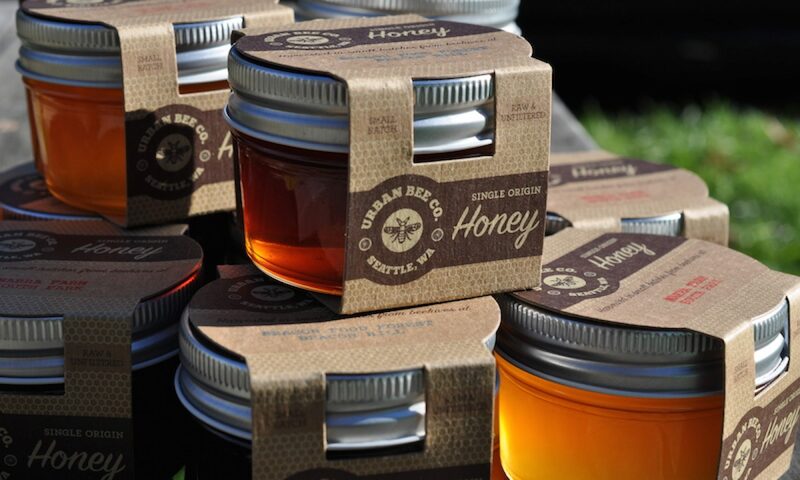 UBC’s honey is extracted by hand, bottled in micro-batches, labeled with the hive location, and delivered by bicycle to subscribers and retail locations. The hives are free of high fructose corn syrup, plastics, and antibiotics. With jar-return jar-return service, 100% plastic-free and post-consumer-waste labels, and hand-crank machinery, UBC’s bottling operation is nearing zero-waste. 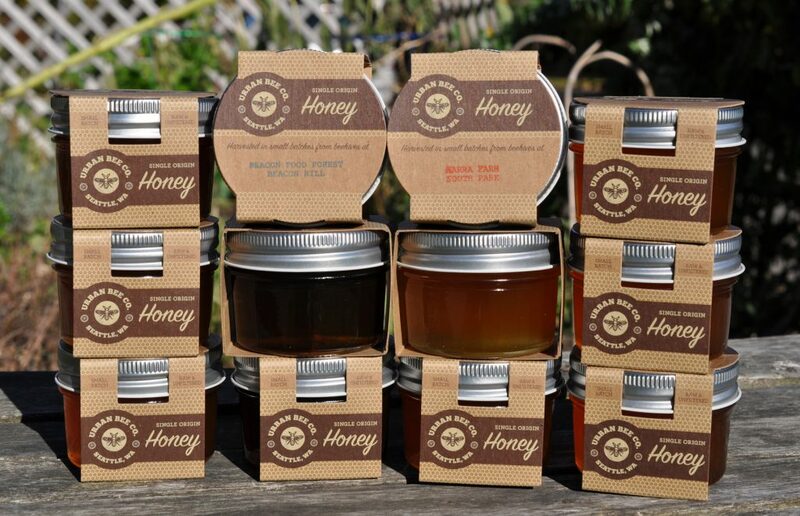 The honey is often available for purchase in select Seattle retail locations, including Theo Chocolate’s retail store in Fremont and Capitol Hill’s Rainbow Natural Remedies.